We all know the story of Goldilocks. A little girl, alone in the woods, happens upon a cabin where there is three of everything in sight. Wandering into the kitchen, she discovers three bowls of porridge – one with too little, one with too much, and one with just enough. Little did you know, exercise can often fall into the same three categories, particularly when it comes to trying to conceive. 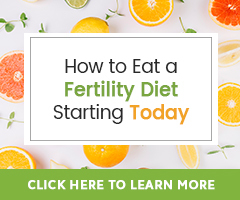 Maintaining a healthy body weight is important for both men and women, not just because of overall health, but also because of the ways in which excess weight can inhibit fertility. Women who are obese often experience increased levels of estrogen, throwing the hormonal balance off and increasing insulin levels in the process. When this happens, ovulation can be affected, sometimes even ceasing completely. For men, carrying around excess pounds can increase the risk of infertility by 50 percent. That extra weight increases estrogen levels for them as well, leading to reduced sperm counts and quality. In addition to that, large men tend to experience increased temperatures around their pelvic region. The excessive heat can further reduce the quality of sperm, which thrive best when temperatures are well maintained and typically around 96 degrees. Obviously, a regular exercise routine can help to keep weight issues under control, but even beyond the number on the scale – exercise is extremely beneficial when it comes to reducing stress and regulating hormones. High levels of stress increase the production of a hormone called cortisol, which in turn can throw the entire hormonal balance out of whack, causing issues with ovulation and egg quality for many women. 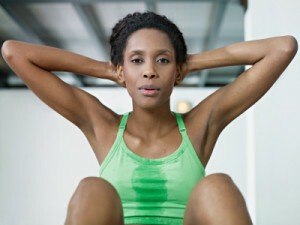 Regular exercise is responsible for releasing endorphins, the body’s natural response to dealing with stress. When exercise falls into the range of “too little” (or none at all), men and women both are more apt to experience issues with weight and stress-related infertility. Maintaining a healthy body weight does not simply mean keeping thin. In fact, when the number on the scale falls too low, couples experience nearly the same amount of fertility issues as those who are struggling with weighing too much. Women who are too thin often find they have problems with ovulation and reduced estrogen stores, potentially never experiencing a normal menstrual cycle at all. Over-exercising can lead to similar results, even when a person appears to be a healthy weight. Strenuous workout routines can lead to reduced progesterone production for women, making it nearly impossible for an embryo to implant correctly. Increased adrenal activity can also eventually interfere with ovulation and regular cycles. For men, being underweight can lead to low sperm counts and quality, just as too much exercise can increase the temperature surrounding the testicles, causing many of the same issues experienced by men who are overweight. While exercise is essential to maintaining a healthy body weight and allowing the body to function optimally, “too much” can definitely be a bad thing. 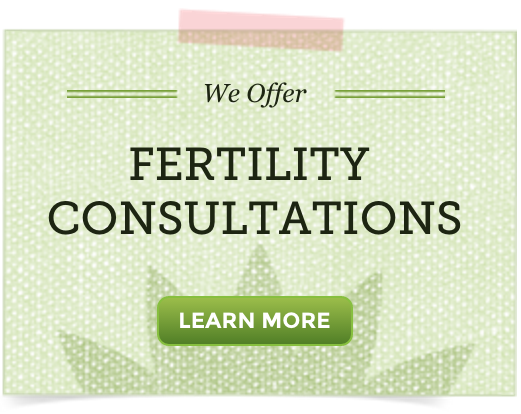 So, what is the ideal amount of exercise for men and women hoping to conceive? 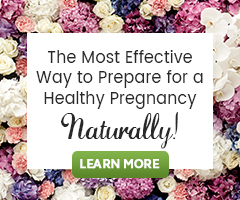 While there is no tried and true answer for everyone, it appears as though 30 minutes of activity three to four days a week can be the sweet spot for boosting fertility without experiencing any of the negative effects of working out too much. For men and women who are already active and fit, sticking to a slightly more strenuous routine will likely not harm them, but the key is to exercise with health and wellness in mind. It is suggested that people who work out more than 7 hours a week should consider cutting back, and if all of your workouts are high intensity – you might want to consider substituting in some more gentle yoga or walking routines every few days instead. If you already have an established exercise routine that falls within these parameters, you don’t need to change anything – even while in the middle of treatment cycles. Consider talking to your doctor about your current exercise schedule, however, simply to ensure that you aren’t over- or under-doing it.